Wanna Buy a Mug to Take Home? 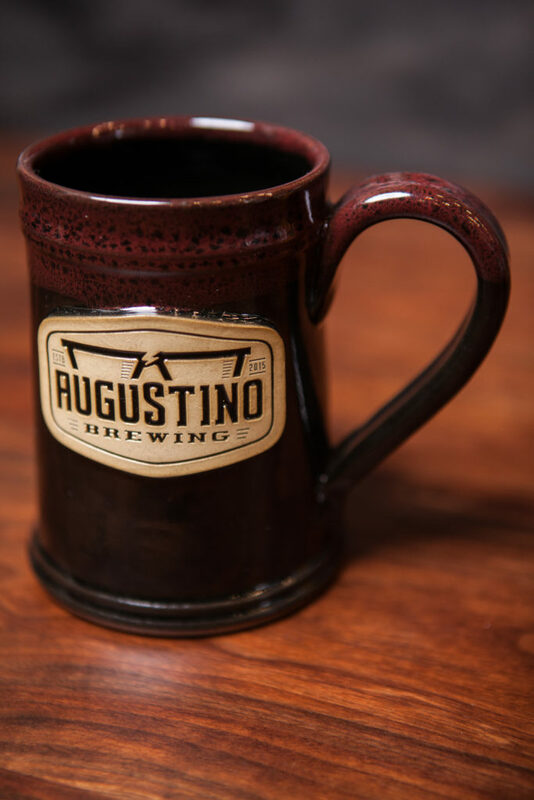 One of the coolest things we have at Augustino Brewing Company is our Signature 20oz stoneware mug. All Supporter, Enthusiast, and Connoisseur members get to drink their beers from this mug when visiting Augustino Brewing as long as they have an active membership. However, if drinking from the mug at Augustino Brewing is not good enough, you can purchase one to take home. The better news for our Enthusiast and Connoisseur members is that you are able to get this mug discounted with your member’s level discount off all Augustino Brewing Company swag. Take one of our signature mugs home today while they last!